As an emissary of Shavei Israel, Ben-Avraham will commute on a monthly basis to the Marrano communities of Barcelona, Palma de Mallorca, Alicante and Seville, where he will assist those seeking to learn more about their Jewish roots. He will teach the communities Torah, Jewish culture and tradition, and conduct a range of social and educational activities. For the first time since the expulsion of Spain’s Jews in 1492, a descendant of Marrano Jewry who immigrated to Israel and received rabbinic ordination will return to Spain to serve as a rabbi. Rabbi Nissan Ben-Avraham, a resident of Shiloh and father of 12, has been appointed a new emissary to the Marrano (or Bnei Anusim) community of Spain. Born in Palma in 1957 to a religious Catholic family, his given name at birth was Nicolau Aguilo. That revelation confronted Ben-Avraham with a possible life-changing decision: embrace his Jewish heritage, with all the suffering and shame he associated with it, or discard it entirely and continue practicing Catholicism. After realizing that his best option for returning to Judaism lay in Israel, he decided to make aliya. Once here, Ben-Avraham made his way to a religious kibbutz, where he began studying Judaism and Hebrew more intensively. Finally, in the spring of 1978, he underwent formal conversion to Judaism by Israel’s Chief Rabbinate, assuming the Hebrew name of Nissan, after the Hebrew month in which he underwent his own, very personal, spiritual revolution. The newly named Nissan continued his quest for Jewish knowledge at Jerusalem yeshivas Mercaz Harav and Ateret Cohanim, and then the yeshiva in Shiloh, where he eventually chose to settle and build a family. 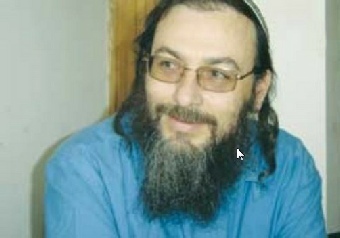 In 1991, he received his rabbinical ordination from the Chief Rabbinate, marking the first time in centuries that a Marrano had succeeded in achieving the status of rabbi. Now, more than two decades after having immigrated to Israel, Ben-Avraham is returning to the land where he rediscovered his lost Jewish roots. According to Michael Freund, founder and chairman of Shavei Israel, in recent years there has been an awakening among the descendants of the Bnei Anusim to discover more about their identity. Freund attributes this rekindled interest to two main factors. First, Spain and Portugal were ruled by dictatorships up until the mid 1970s; once turned into democracies, the power of the church diminished and people began to feel more free to explore their identities. The second factor is the Internet, which has played a major role in reconnecting Bnei Anusim to their Jewish roots. What once required research in a public library, or approaching a Jewish community to find out information, can now be achieved in the privacy of their own homes. Further, through the Internet, a network of Bnei Anusim is developing, in which people with similar backgrounds and experiences can interact and shed light on many of their questions. According to most counts, there are still tens of thousands of Bnei Anusim in Portugal and Spain, and others even have the number as high as 100,000. In Brazil, which houses the largest concentration of Bnei Anusim, many academics speak of over three million people.